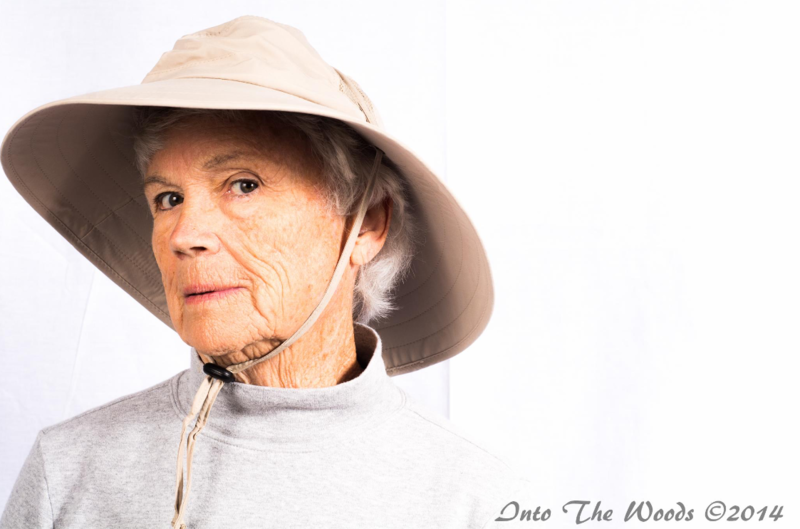 My Grannie is one of the coolest people on the planet. Hands down. She grew up in Southern California and is the epitome of the “California Girl”. 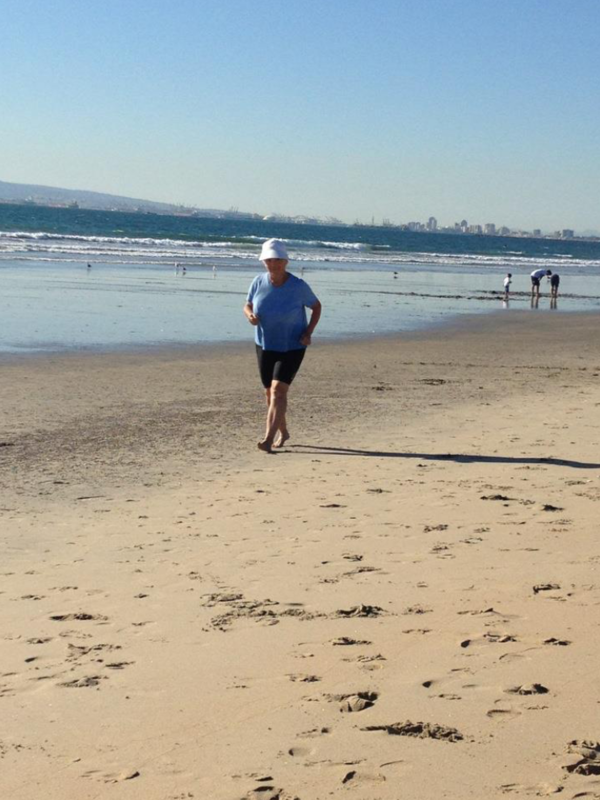 She rides her bike everywhere, is at the beach pretty much every day, plays tennis, composes her own music, sings, plays the piano, performs the ukulele and clog dances at Knott’s Berry Farm and is still going strong at 80 years old. She once told me that having kids was the best thing ever because, “you can play all day and no one will think you’re crazy.” To me this summarizes her philosophy on life. She loves to buy beach hats at Pic ‘N’ Save and believe me, she has had some crazy hats. One time, my brothers and I buried a pink and white plastic woven hat in the sand so that she couldn’t wear it ever again. We were so embarrassed by those hats but looking back on it, I love that she wore (wears) crazy hats. She could care less what other people think. To her, the only thing that truly matters in life is having fun. One more thing about Grannie; she is an amazing cook and baker. Her recipes are the best and I was over the moon when she sent me a box of her recipes. This is one of those recipes. 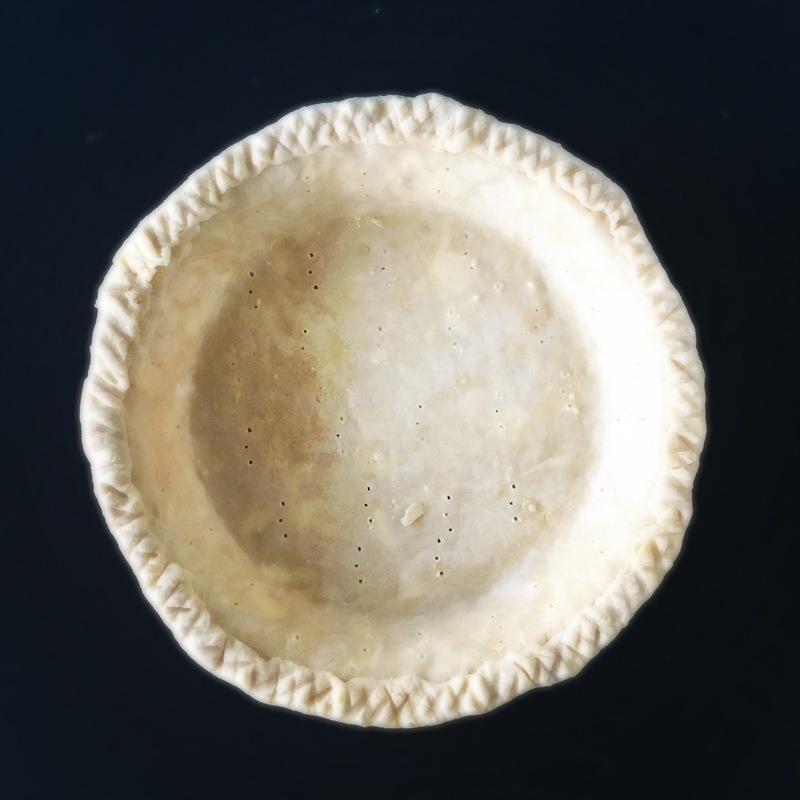 Grease shallow pie plate and fit pie dough to plate. Place in freezer for 20 minutes. Meanwhile, mix corn syrup, brown sugar, salt and melted butter until combined. 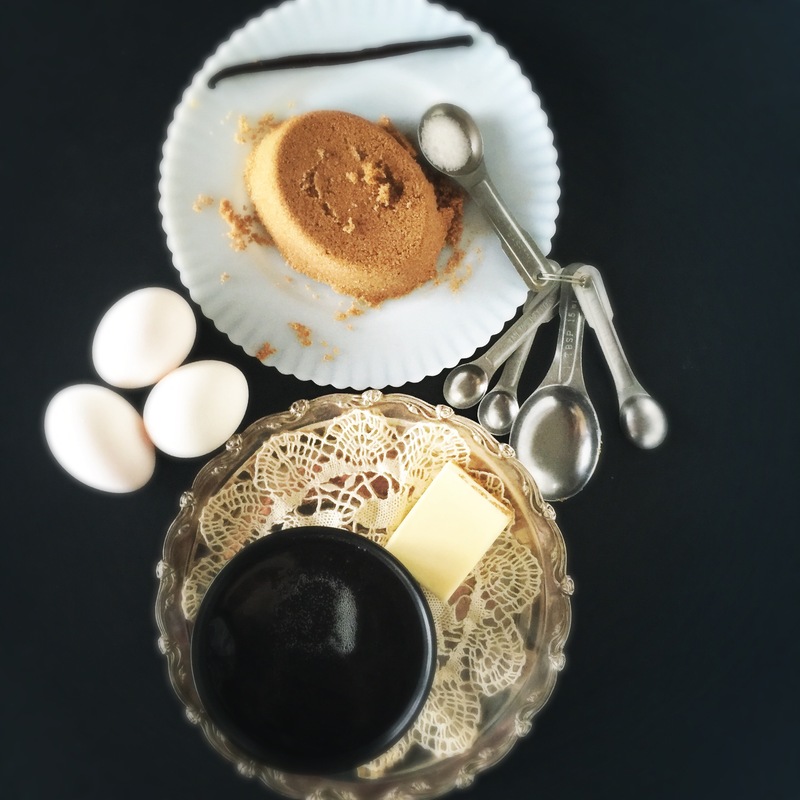 Stir in vanilla and slightly beaten eggs. 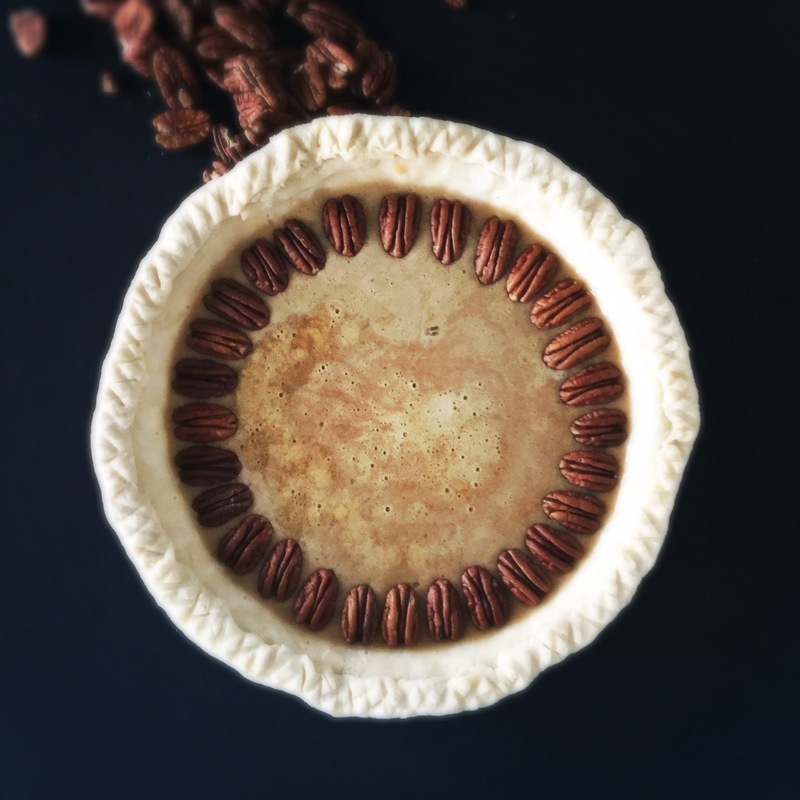 Remove the pie crust from the freezer and pour filling into crust. 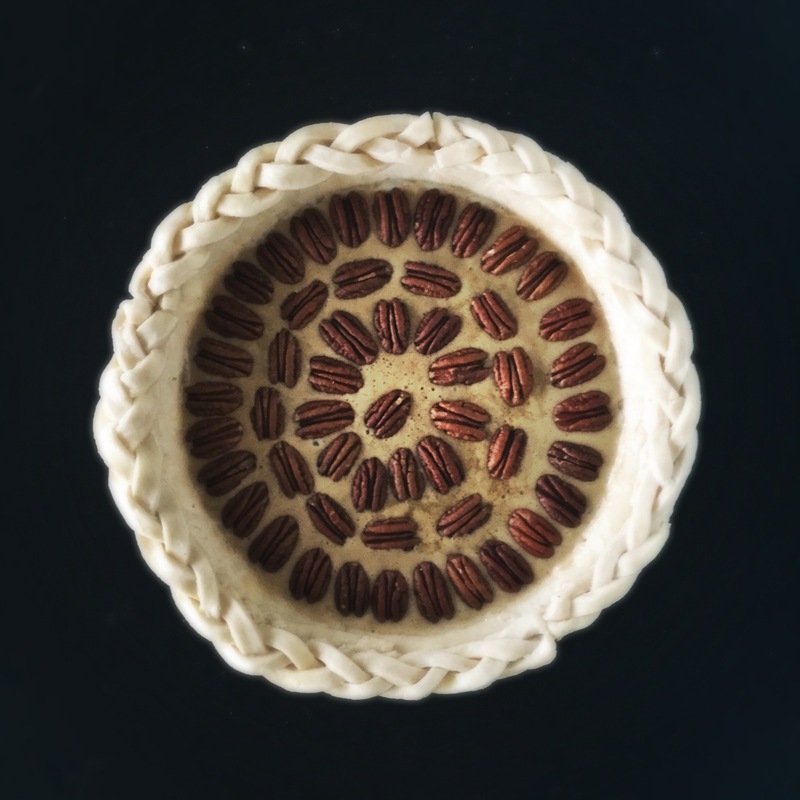 Place pecans, one by one on top of filling. Roll out other half of pie dough and cut into 1/4 inch strips. Separate 3 strips and form into a braid. 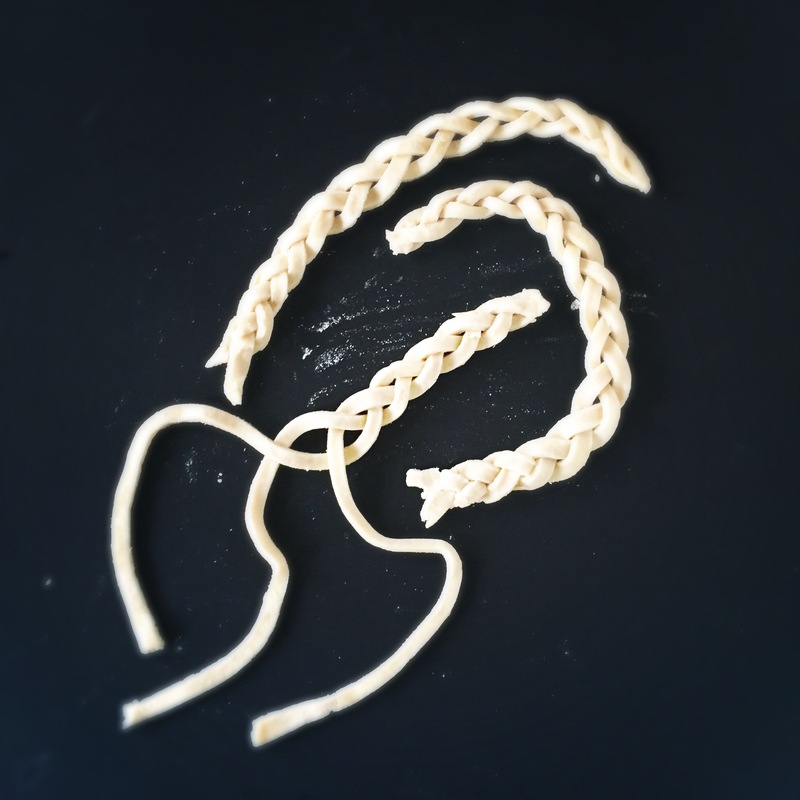 Make enough braids to line outer edge of pie crust. 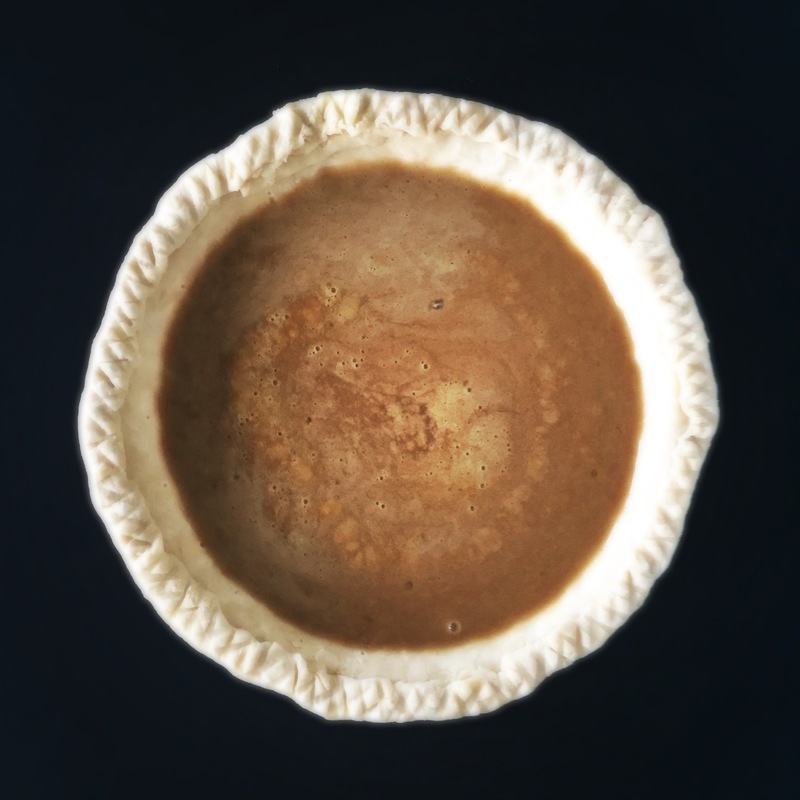 Mix together egg white and water to make egg wash. Brush egg wash onto the outer edge of the pie crust. Place the braided strips on top of the egg wash mixture, using the egg wash to secure the braid while baking. 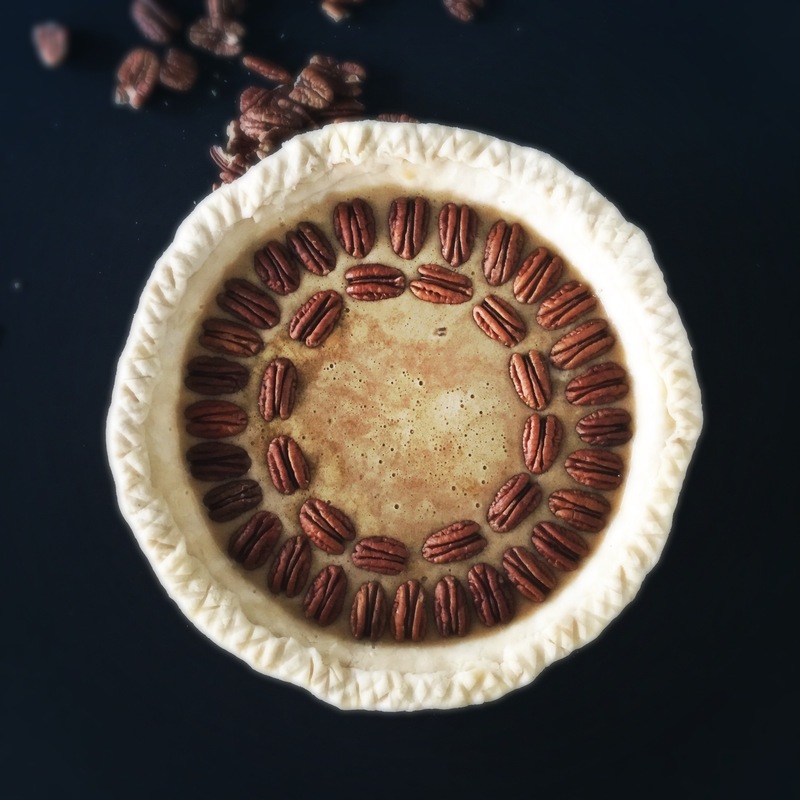 Place the pie into the freezer for 30 minutes. 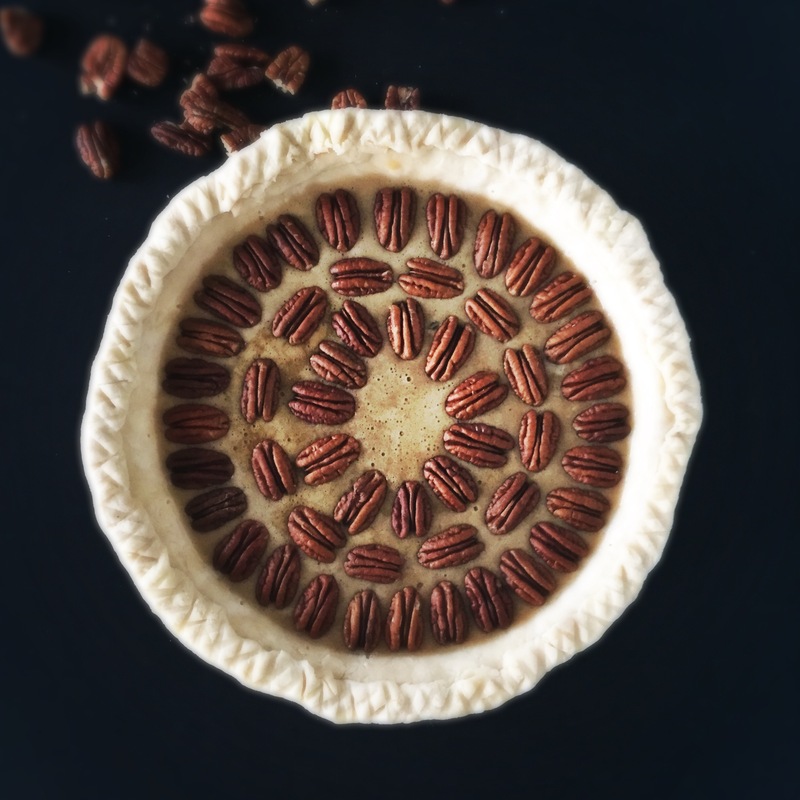 Remove the pie from the freezer after 30 minutes and place into preheated oven. 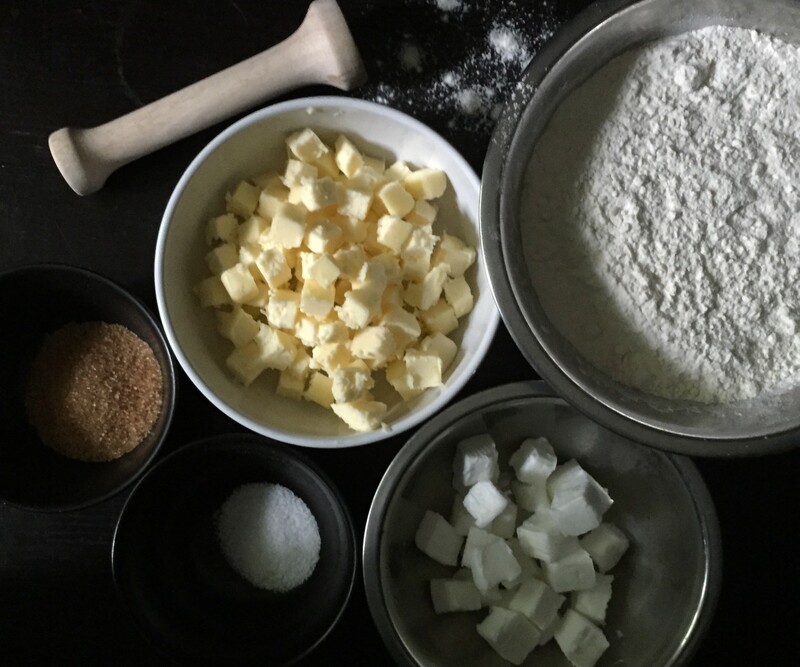 Bake at 375° for 15 minutes and then lower the temperature to 350° and bake for another 40 minutes. Remove from oven and serve when cool. One more thing – I hope that someday I will grow up (or maybe not ever grow up) to be just like my Grannie. 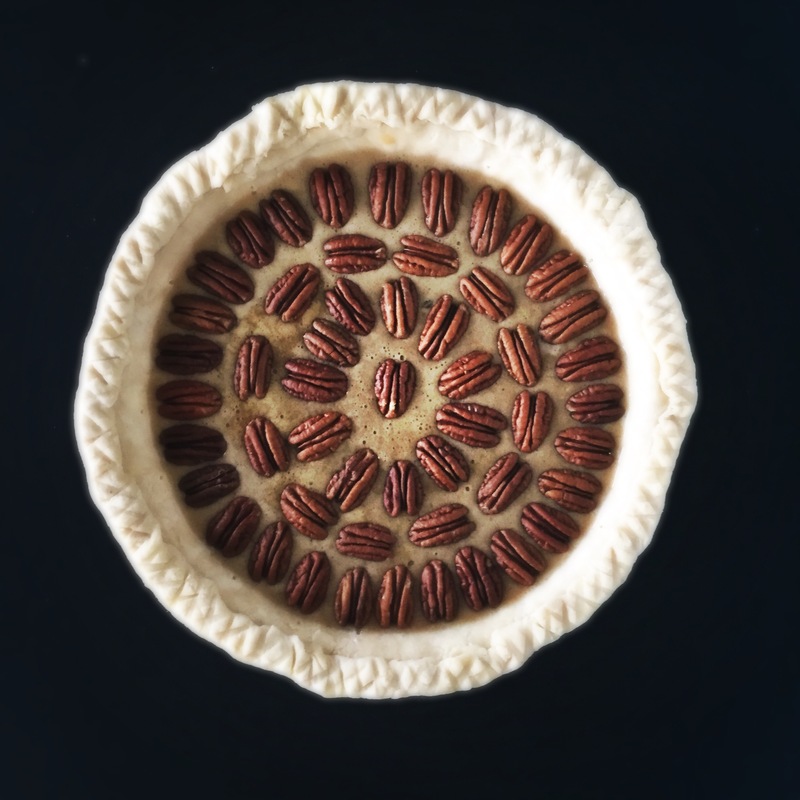 I’m going to make this pie! 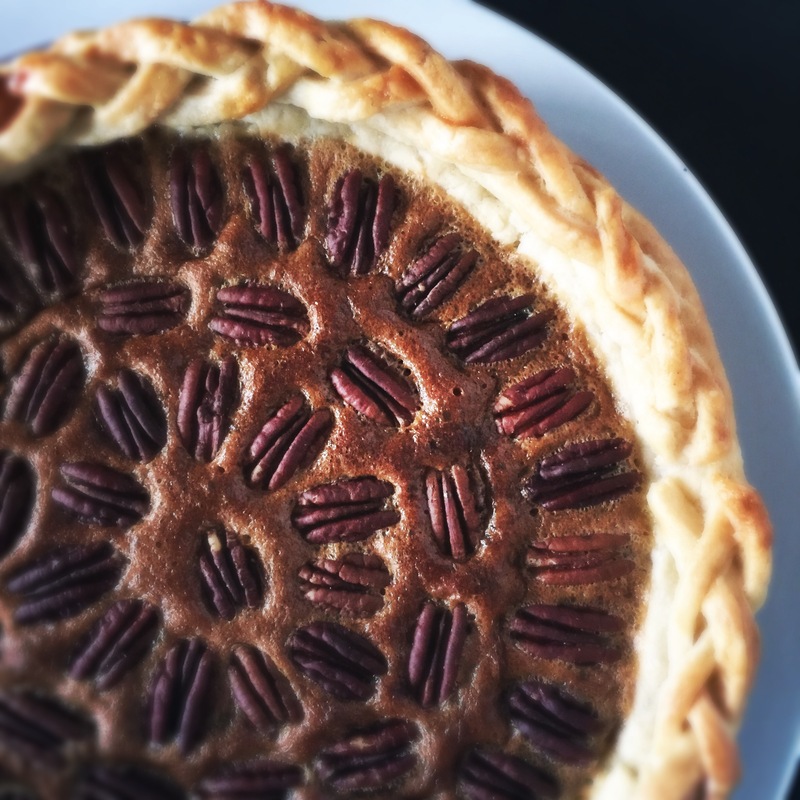 My Mom however makes a mean Pecan Pie, but I want to try your crust! Love your Grannie. She is so spunky!